Companies use app store optimization (ASO) software to help mobile applications rank higher in app stores, as well as to track both rankings and downloads of apps. These tools help users optimize app titles, keywords, icons, descriptions, previews, screenshots, and more. They also provide recommendations for increasing or maintaining placement. Many products in this space provide competitive intelligence features, with robust ranking and download data for both a business’ app as well as competing apps. ASO software is often leveraged by developers or app marketers to make their app rank highly and stand out in app marketplaces such as the App Store or Google Play. App store optimization software is similar in many ways to SEO software, but is specifically designed for app stores. App Store Optimization reviews by real, verified users. Find unbiased ratings on user satisfaction, features, and price based on the most reviews available anywhere. 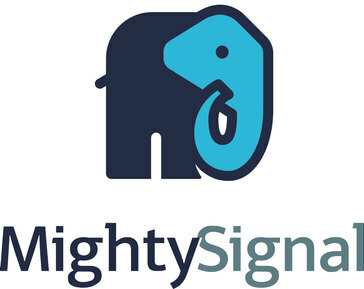 MightySignal provides mobile app and SDK intelligence for prospecting, churn reduction, and spying on the competition. Our data system gathers intelligence straight from sources like Apple and Google on SDKs, mobile ads, rank changes, and more. Sales and marketing teams rely on MightySignal to power key decisions in prospecting, lead qualifying, market sizing, and more. TUNE makes the technology that powers successful performance marketing relationships. With TUNE, you can: - Measure and manage your most important partners - Build and expand your performance marketing programs - Minimize risk with fraud prevention, data protection, and platform reliability www.tune.com HasOffers by TUNE HasOffers by TUNE is a SaaS based performance marketing solution for ad networks, agencies and advertisers that need a reliable and scalable platform for tracking and managing complex performance partnerships. www.hasoffers.com With HasOffers by TUNE, customers evolve the way that performance marketing relationships are scaled and managed: - Manage thousands of publishers, affiliates and influencers - Measure, score and track lead generation efforts - Optimize customer campaigns and optimize media buying in real-time - Control and expand affiliates and referral programs cross-channel. App Store Optimization (ASO) is one of the key factors for your app marketing success. They make it their mission to provide app developers from around the world an advantage in their app marketing efforts. You can build your app from just an idea, but to speed up your marketing progress at scale, you need help. The first step is to optimize your app's keyword rankings. That's where our Keyword Tracker comes into play. AppTweak is a powerful ASO tool that provides you with all the data and insights you need to increase your app's visibility and boost organic app downloads. Focused on data accuracy, AppTweak helps you build and manage your global ASO strategy in the long run. The platform provides personalized and easily understandable ASO Reports with actionable recommendations for each app’s metadata. AppTweak also offers a powerful multilingual Keyword Intelligence Tool and a unique Search Ads Intelligence Dashboard allowing users to audit, optimize and monitor both organic and paid keyword performance over time and across countries. All features have been built to facilitate competition comparison in order to effectively outrank your competitors. Our strong expertise in ASO and our powerful technology guarantee optimal results and a major increase in organic app downloads. 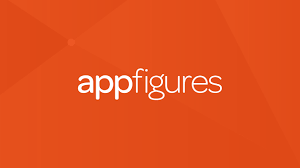 As a result, AppTweak currently manages over 1000 accounts in more than 70 countries, including Viber, Paypal, LinkedIn, Social Point, GoEuro, WB Games. Additionally, AppTweak won the award "Best ASO company" at the App Growth Awards in 2018. Everything you need to work on App Store Optimization for Individual Developers, Large Companies, and ASO Experts. App Store Optimization tool for everyone! Mobile Action is a tool for app marketers to do keyword ranking, competitor analysis and App Store optimization in the App Stores. Appnique's proprietary targeting technology uses machine learning to transform big data from the app graph into audience targeting. Gummicube is a leader in providing Big Data Analytics for the App Stores, which is used for App Store Optimization, Mobile Marketing and Market Analysis. In 2014, StoreMaven invented App Store A/B testing. Today, over 60% of top app publishers (such as Google, Zynga, and Uber) rely on our platform and expertise to test their app store marketing assets and understand user behavior. Our methodology is underpinned by the right combination of technological and human input. With predictive testing and proprietary machine-learning algorithms, our platform tells you precisely what designs work best for your app store page in order to increase conversion rates and reduce cost per install. Our first-class professional services—informed by unmatched data and experience—help guide you in testing the most impactful marketing assets and developing a strong, long-term App Store Optimization strategy that brings continued success. Hi there! 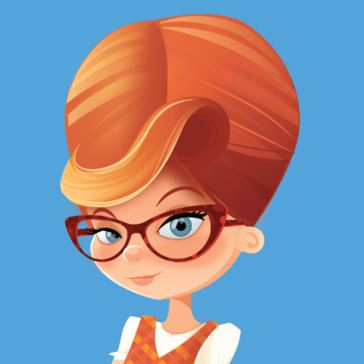 Can I help you find the best App Store Optimization solutions?